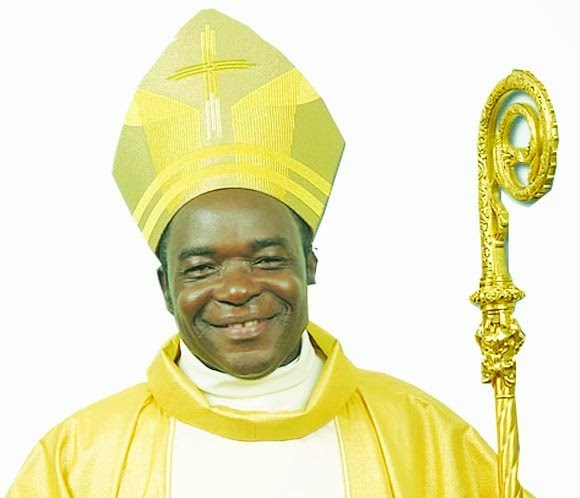 The Catholic Bishop of Sokoto Diocese, Bishop Matthew Kukah has described the controversial N42m tithe paid by a man into a church account in Benue state as ‘chicken feed’. Kukah said this in an interview with PUNCH when he was asked how he felt about such an offering to the church while the society was riddled by people who lacked basic necessities of life. He said: “This (N42m tithe) is ‘chicken feed’ compared to what contractors and businessmen and women are paying to corrupt church men, who are largely partners in crime and claim to be praying for rich people. lacked a clear strategy and “proper understanding of the enemy”. The cleric added that the President was still stuck with a mindset of his military days. The Catholic bishop maintained that he was against the metaphor of “war” as a strategy to fight corruption. He expressed sadness that even with the metaphor that hadd been adopted by the government to tackle corruption, the desired results had not been achieved. Kukah said it did not speak well of the government’s anti-corruption efforts when the national assembly and the executive could not agree on a pick for Economic and Financial Crimes Commission (EFCC) chairman. “It is not enough to say we will fight the corrupt, especially when the President is still stuck in a mindset of his military days, which sees corruption as something that wicked and unpatriotic politicians and office holders are doing. Still, we believe that corruption is what the political class has done,” he said.